Two Money Makeover candidates question the rationale of spending a large amount of money on getting married. When human resources manager Zamokuhle first entered the Money Makeover competition, his main goal was to save for two weddings as the couple’s families live far apart. Although he and his wife are legally married in law and lobola has been paid, they never had the big traditional African wedding required by his Zulu culture, or the “white” wedding which his wife’s Tsonga family wants. 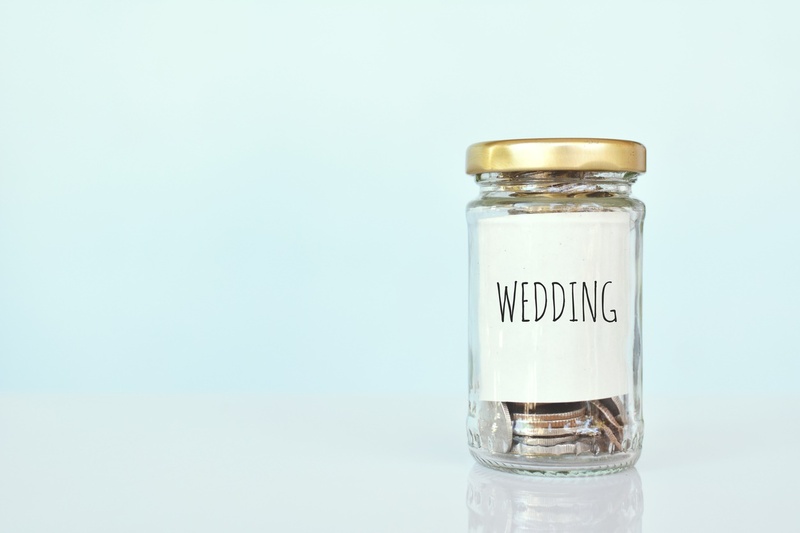 Zamo and his wife have been building their savings towards the wedding, but the more they put aside, the more they questioned the rationale of spending it all on a wedding. “When we first discussed the wedding, Zamo and his wife did not realise the extent of the cost of the wedding. Once they understood the cost, they realised the total wish list and cost is more than they expected,” says their financial adviser Charlotte Pretorius. Having done a proper budget for the weddings, they would be spending R167 000 in total and they are questioning whether spending all that money on two weddings just to make their families happy is really worth it. “The R160 000 we expect to pay in today’s money will be even more when we eventually have the wedding – prices will have gone up, so we will probably end up spending R190 000. That is how much I owe on my investment flat. If I paid that off, I would have an income of around R3 200,” says Zamo. Not only would Zamo be saving on the interest he is currently paying to the bank, but if he saved the R3 200 from his flat and invested it in a fund that delivered 10% return a year, he would have R250 000 in five years, which he could put away for his children’s education. For Zamo and his wife, the weddings are not important, but it is something their families want. Zamo and his wife have broached the subject with both families and hope the matter will be finalised during the Easter weekend. “We will come up with something, whether we scale down, cancel or make it just one wedding,” Zamo says. 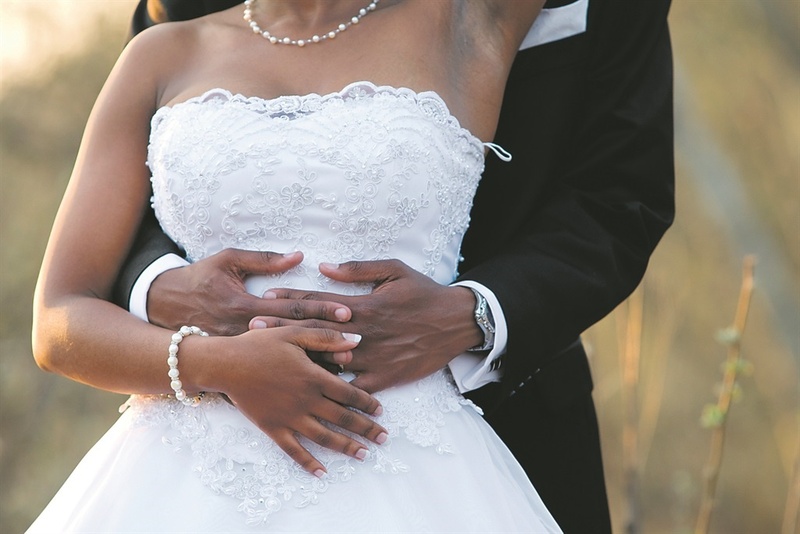 Town planner Mmabatho faced a similar challenge over her marriage last year. Although lobola was paid in 2011 and the couple had been together for several years, they could never afford the big white wedding their families required. Then, early in 2017, the couple was in an accident. Fortunately, neither of them was badly hurt, but it was a wake-up call. “We didn’t have a marriage certificate and, because we were not legally married, my husband was not on my medical aid and would have had to go to a government hospital.” They decided to use the opportunity to marry legally, and, as the family was still in shock, they did not insist on the big wedding. “We would have had two weddings, as my home is 600km away. It was just too expensive so, after our accident, I called my mom and said, ‘I can’t afford to have the big wedding, I need to think about our future.’ She spoke to my dad and they agreed to a small ceremony.” In June last year, Mmabatho and her husband were married in a church with 30 guests – immediate family and close friends. The total cost was R35 000 and the couple paid in cash with no debt. “The accident was a blessing in disguise; it made the family understand that weddings are expensive. Our children’s futures are more important than a big a wedding,” she says. What do you include in your budget? Matrimonial venue, wedding dress, food, drinks (alcoholic and non-alcoholic), bridesmaids’ dresses, groomsman’s suit, photographer and/or videographer, deejay, transport, hair and makeup, car hire, wedding rings, an emcee, tents and chairs, decoration, catering services, wedding cake, and so on. For a traditional wedding a cow, groom’s family gifts, traditional attire (imvunulo), food and drinks. The costs are a bit less on the traditional side. Before the wedding can take place, there is a gifts’ ceremony, where the groom buys the bride’s father a suit, hat and a bottle of brandy, and a visit from the groom’s family for a celebration. What cost surprised you the most? The price for return transportation using a 22-seater bus from Tzaneen to Mandeni, a total distance of 1 600km, is currently R2 500 and ceremonies must happen in two places. The white wedding will be in Tzaneen and a traditional wedding in Mandeni. This amounts to about R5 000. What advice do you have for a young couple getting married? Try to finalise your matrimonial ceremonies before you have children and long-term debt. It is difficult to plan for an expensive wedding while dealing with a 20-year bond and a six-year car repayment, while saving for education and retirement. There’s a lot to pay for when it comes to a wedding. But you don’t have to spend a lot of money to have the wedding of your dreams, finds Angelique Ruzicka.